When you suffer from diabetes, the main reason why you need to seek treatment is to maintain your blood glucose levels at an acceptable range. There are different approaches that you can take to better manage diabetes. Below are the main ones you need to consider. You need to manage what, when and how much you consume on a daily basis. Most diabetes patients are advised to come up with a healthy meal plan that would help them to control their blood glucose levels and prevent complications. With a meal plan, you can prevent weight gain and lower your risk of getting diabetes complications. Exercising is a very critical aspect of diabetes patients that helps them to not only prevent complications but also avoid high blood pressure. With regular exercise, which experts recommend 30 minutes per day, you can better manage the condition. Look out for safe weight loss programs that will also help you to feel confident without straining yourself. You do not have to engage in vigorous exercises. Moderate exercises can work equally well in helping you to control diabetes. The right diet and physical activity are not enough in helping you control blood sugar levels if you have Type 2 diabetes. You may need to take some medication. There are some oral medicines given to diabetes patients that help to control the level of blood glucose. If you have Type 1 diabetes, there’s a high chance that you will be given insulin to control the condition. There are also injections that can be given in order to help manage the condition. If given medication, make sure you take it as stipulated by the doctor. Most diabetes patients are advised to keep checking their blood glucose level on a daily basis. You may need to record these measurements and present them to your doctor during the next appointment. These figures can help the doctor to determine whether the medication being given is actually effective in helping you control the blood glucose. Visiting your doctor regularly and discussing any emerging complications is important as it will allow him to determine the way forward. Check out https://www.triangledoctor.com. Diabetes is a serious condition that can be deadly if not managed properly. You need to consume the right foods and in the right portions, exercise on a daily basis and take your medication religiously. Visit your doctor in Raleigh to discuss the progress of your condition after making certain lifestyle changes. Being diagnosed with diabetes is not a death sentence. You can live a long and fulfilling life even with the condition and sometimes without being dependent on medication. Diabetes is a disease that is caused by the body’s inability to control the blood glucose levels, which can sometimes be too low or two high. Diabetes occurs when the body does not produce enough insulin to control blood sugar levels or when the body cells become resistant to insulin. Medication is the first way of managing diabetes. Once you are diagnosed with diabetes, the doctor will put you on the first level of diabetes management medication that is supposed to stabilize your blood glucose levels. You do not have to be completely dependent on this medication but it is a good start while your sugars are still too high. Proper medication and meal timing schedules as prescribed by the doctors should be adhered to. It is important to know that there is no such thing as a diabetic diet. Diabetics can eat the same foods as normal people. What is important to diabetics is making healthy food choices and knowing what to eat at the right time. A diet that is rich in fiber from vegetables and fruits can help control the glucose levels. Whole grain foods such as oats and whole-wheat products are also great choices since they contain more fiber and fewer calories that could cause your blood sugar levels to shoot out of control. Maintaining a fit and healthy body is necessary when dealing with diabetes. Staying within the ideal weight limit for your height is the best way to combat this condition. Ensure that you take energy giving foods before you start working out and that you complete at least 30 minutes of exercise in a day. This will ensure that you maintain proper energy balance and burn off any excess calories in your system. It is advisable to monitor your blood sugar levels regularly. Get your home rapid testing kit for blood sugar. Sometimes you may be feeling well but your blood sugar levels are spiraling dangerously out of control. Keeping on top of things by regularly monitoring it is important. Talk to Cary internal medicine experts. Book an appointment with Triangle Doctor today. General practitioners: These kinds of doctors are qualified to care for patients of any age or gender. They often do not have an area of specialization and are usually involved in the diagnosis and treatment of common illness. Internal medicine: doctors in this field are referred to as internists. They treat disease using medicine, unlike surgeons who operate to treat and cure. Internists can have several sub-specialties such as diabetes treatment or geriatric care. Pediatrics: pediatricians can also act as family doctors. They specialize in the overall well being of children between birth and adolescence. They also have sub-specialties. Choosing a family physician can be quite a challenge because you want someone you can trust and rely on. Randomly picking a name off the phonebook is absolutely not an option. The following are some of the ways you can find a family physician today. Through your insurance plan: You can find a list of doctors in your insurer networks to choose from. It may be necessary to have a family physician before you can be treated under a HMO or PPO plan. Personal referrals: Getting a referral from a friend can probably help you build more trust in a physician than any other source. Meeting former patients who are healthy and doing well thanks to a family physician can encourage you to choose a particular doctor. Do not be afraid to ask your co-workers, friends, family or even other moms and dads at your kid’s school for a referral. Your current doctor: You can also find a good family physician through your current doctor. If your family has expanded or if you are moving to a new area, your doctor can get you in contact with some great physicians that they would recommend for quality services. 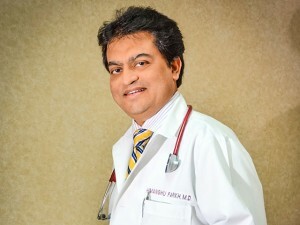 For a trusted Raleigh doctor with specialization in internal medicine, book an appointment with Triangle Doctor today! Check this out for more info. When choosing an internist one has to be very careful as it will determine the quality of treatment and care one will receive. Rush and wrong decisions could have a negative impact on your health, so you need to choose wisely. You can get an internist recommendation from your general practitioner, or people you know or search for one on the internet. A recommendation from another health care provider, especially one you trust is the best and most likely the best choice. There are a number of sub specialties that fall under internist. You should view the ones that have been recognized by the American board of internal medicine, so as to know the kind of internist you require. For instance, if you are a cancer patient, you will need someone who has specialized in oncology. The location of the hospital or the facility where the internist works is very important. You should consider a location that is near and easily accessible. The closer he or she is to your home, the better. But the quality of healthcare should not be compromised because of the distance. The shortest distance is the best, but if you feel that a health provider in a location a little further away could give you good services, don’t hesitate to go for them. If you have a healthcare insurance cover, you should go for an internist who accepts your type of policy. You can call them to consult the insurance policies they work with or check it out on their website. Also, it is important to discuss medical services that will not be paid for by the insurance. 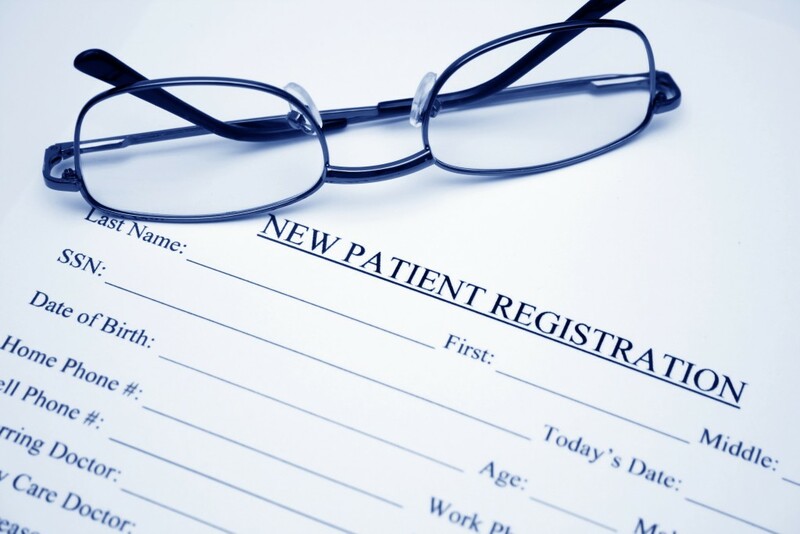 If you don’t have a medical insurance policy, you need to inquire how much you will be incurring per visit. 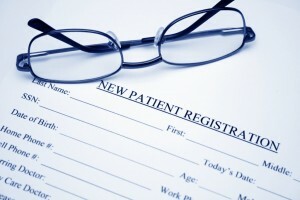 You can compare the fees for different physicians so as to get an affordable one. Check this out. You also need to research on the reputation of the internist as well as the health care facility that they are working at. Reputation says a lot about the nature of care and respect given to patients. So if you find that the internist and hospital have a bad reputation, don’t go to them. Get more info here. After being diagnosed with diabetes, many people have to make lifestyle and diet changes in order to keep the condition under control. If you are a caretaker of someone with diabetes, it’s important to help them in making good health care decisions. Here’s how you can take care of someone with diabetes. First things first, you need to educate yourself about diabetes. Having the right information will help you to familiarize yourself with critical aspects of the condition such as how to measure blood sugar and the diabetic supplies your loved one needs. Find out the facts about the condition and stay away from the myths that would eventually damage your loved one’s health. It is important to understand how much fat, carbohydrates and proteins a person with diabetes requires. Consult a dietitian to help you plan a suitable meal plan for the diabetic individual. Try and ensure the patient eats the same meal as recommended by the dietitian. All food must include appropriate ingredients and be taken in the right proportions. 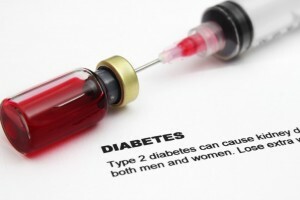 People who suffer from diabetes should have a consistent record of their blood sugar levels. Keeping this record allows physicians to determine whether the prescribed medication has any effect in managing the condition. There are many devices that can be used to test blood sugar. Look for one that is most convenient for the patient. Diabetes medication must be taken as prescribed by your Cary doctor. Failing to take the medicine as recommended can have a negative impact on the person’s health. It is important for caregivers to play an active role in making sure all medication is taken diligently by the patient. It’s important for individuals suffering from diabetes to maintain a healthy weight. One way to keep off excess fat is by exercising regularly. It doesn’t mean that they have to engage in vigorous workouts that may put their health at risk. Simple activities like walking, swimming and jogging can make a huge difference in their overall health. If a loved one has just been diagnosed with diabetes, it’s important to help him/her when they choose to make lifestyle changes that boost overall health. Habits like excessive drinking and smoking as well as unhealthy eating should never be encouraged. You need to take an initiative to show the diabetic that you also support the new lifestyle change. Looking for an expert internist in the Triangle area? Dr. Parikh is the one you should visit. Get in touch with Triangle Doctor today!